Collins Booksellers - Acting, Archetype, and Neuroscience by Jane Drake Brody, 9781317586227. Buy this book online. "How do we move actors into the less accessible regions of themselves and release hotter, more dangerous, and less literal means of approaching a role?" 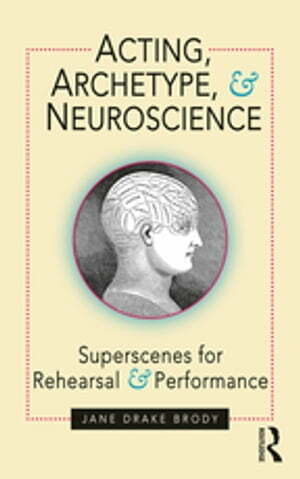 Superscenes are a revolutionary new mode of teaching and rehearsal, allowing the actor to discover and utilize the primal energies underlying dramatic texts. In Acting, Archetype, and Neuroscience Jane Drake Brody draws upon a lifetime’s experience in the theatre, alongside the best insights into pedagogical practice in the field, the work of philosophers and writers who have focused on myth and archetype, and the latest insights of neuroscience. Focus on the actor’s body as the only place where the conflict inherent in drama can be animated. Acting, Archetype, and Neuroscience weaves together a wealth of seemingly disparate performance methods, exciting actors to imaginatively and playfully take risks they might otherwise avoid. A radical new mixture of theory and practice by a highly respected teacher of acting, this volume is a must-read for students and performance practitioners alike.